Holiday hours: Additionally closed on major holidays and the first weekend in December. The Lauren Rogers Museum of Art is located of Fifth Avenue, a broad, tree-lined avenue, among turn-of-the-century homes one block from the center of Laurel. It is surrounded by live oaks, azaleas, English ivy, and Asiatic jasmine. The Georgian Revival structure with its formal axial symmetry was designed by Rathbone deBuys of New Orleans. It was erected in 1923 upon the foundations of Lauren Rogers’s house, which was incomplete at the time of his death. Admission to the Museum is free. Suggested donation of $3 for adults (non-members) is accepted. 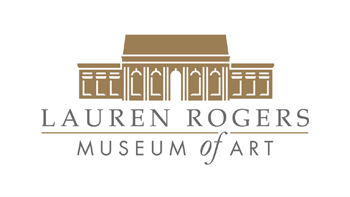 The Lauren Rogers Museum of Art is completely accessible for handicapped visitors. A wheelchair is available.